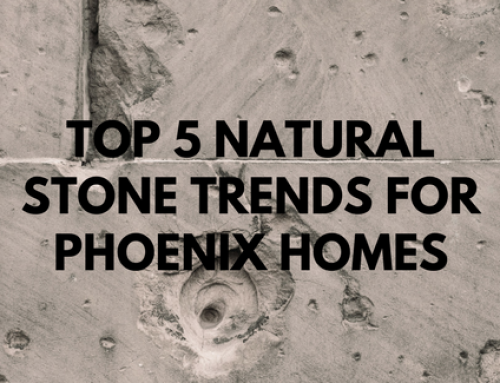 The grout between your tile plays an important structural and aesthetic role. 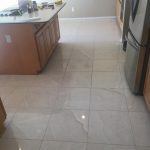 Not only does the grout keep out water and debris that could damage your tile, but it also makes your tile look great. The smoothness and color of the grout complements the tile and makes your floors, shower, or other tiled space look professional and beautiful. Over time, the grout can deteriorate or become discolored, making the tile look bad and making it vulnerable to damage. You can repair the grout and the tiled area by hiring a contractor to re-grout the area. 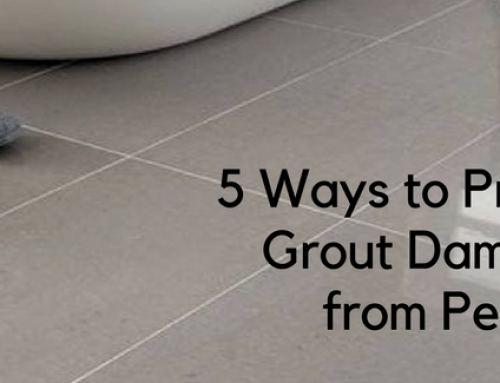 Grout can discolor, but that doesn’t mean that you need to replace it. Typically, you only need to re-grout if you have cracked, missing, or peeling grout. 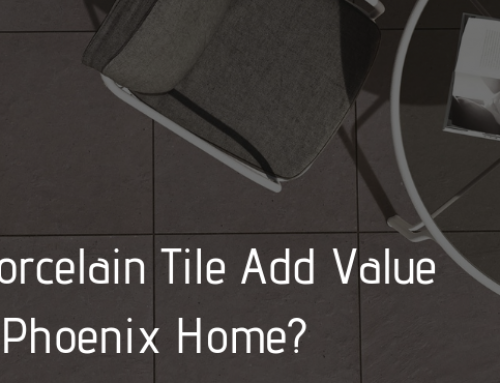 If you just have stains on the grout, you should call a Phoenix tile and grout cleaning company to get some professional tile floor cleaning. Those experts will be able to lift out years of staining that you thought wasn’t possible. For tough cases, they can refresh the grout with appropriate materials. Cracks or other degradations in the grout are cause for re-grouting, however. These issues allow water to penetrate to the subfloor below the tile, which can cause the material to rot or can spread mold and mildew. The longer you wait to re-grout, the more damage you are allowing to occur. Eventually, you’ll be paying a lot more to repair your floors, and you’ll have to go through a lot more hassle. If there is mold or mildew on your grout, it’s almost certainly a sign that you need to re-grout. The grout is porous, and those mold and mildew spores will travel quickly into the grout and beyond. The question is how far the mold and mildew have spread. Is it contained to the grout and can be corrected by simply re-grouting? Or has it spread under the tile and beyond? You should always call a tile cleaning company for an estimate your tile if you see mold or mildew on the grout. You can do a preliminary check by tapping the tile and listening for a hollow sound. That would show that water has damaged the floor below it. But don’t think that everything is fine if you don’t hear that sound. Cracked or loose tiles are unsightly, but you shouldn’t just reapply them and think that the problem is fixed. If tiles have cracked or become loose, it could be a sign that there is a bigger problem, such as a rotting subfloor. If you plan to re-grout and you have some cracked or loose tiles, make sure you get a professional to inspect the area first. 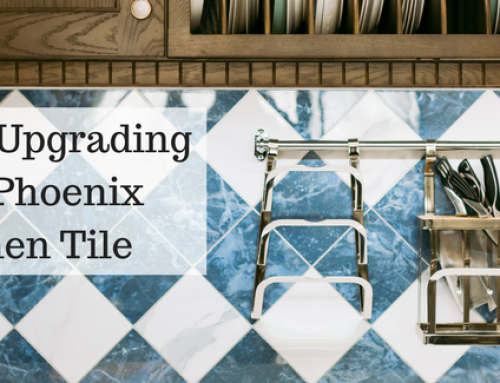 You may think that re-grouting is as simple as getting professional Phoenix tile floor cleaning and then applying new grout over the old grout. In fact, even some “professionals” perform re-grouting this way. But if this procedure is used, the new grout will very quickly peel or chip off. For long-lasting performance, the old grout must be removed before the new grout is applied. The grout should be mostly, if not entirely, removed. This increases the labor involved, as well as the price, but it’s completely necessary. If you care for your tile floors and grout properly, the grout should last a very long time. Typically, you should not need to re-grout for 12 or 15 years. You need to keep the grout clean, and use only the proper cleaners when caring for it. You should also seal the grout to keep water and other contaminants away from it. 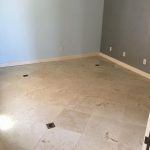 Americhem Stone and Tile Cleaning is a trusted tile and grout cleaning company near Arrowhead and Phoenix. We can restore your tile and your grout to make it look more beautiful and to give it many more years of life. 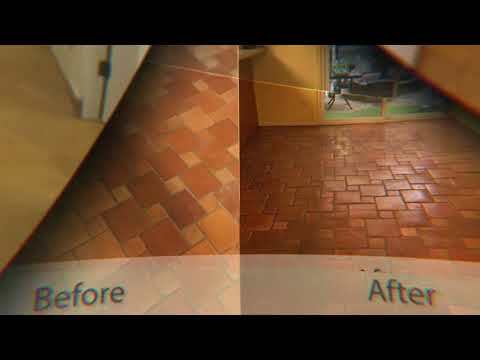 Before you decide to re-grout, give us a call in Phoenix to find out if our professional tile floor cleaning will be enough to refresh your floors.